The Stockholm International Water Institute (SIWI) is a Stockholm-based policy institute that generates knowledge and informs decision-making towards water wise policy. Founded in 1991, SIWI performs research, builds institutional capacity and provides advisory services in five thematic areas: water governance, transboundary water management, climate change and water, the water-energy-food nexus, and water economics. SIWI organises the annual World Water Week in Stockholm and hosts the Stockholm Water Prize, the Stockholm Junior Water Prize and the Stockholm Industry Water Award. SIWI also hosts several flagship programmes, including the UNDP Water Governance Facility at SIWI. SIWI has grown exponentially over recent years, now consisting of 65 full time staff members. 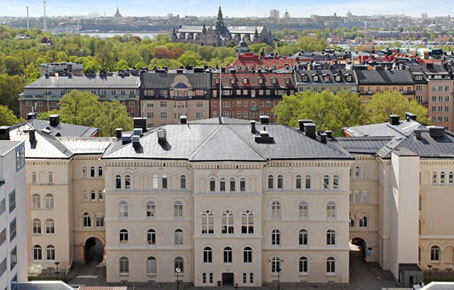 Its office is neighbouring with the Stockholm Environment Institute and the Swedish International Development Cooperation Agency (Sida). The 2014 World Water Week in Stockholm will be held 31 August – 5 September 2014. The theme being ”Energy and Water”. As ususal, the 24th World Water Week is organised by SIWI. The World Water Week is the leading annual global meeting place for capacity-building, partnership-building and follow-up on the implementation of international processes and programmes in water and development, with large relevance to South Asia. Every year around 200 delegates from South Asia participate (India, Pakistan, Bangladesh, Nepal and Sri Lanka). When addressing the “energy and water” theme during 2014 World Water Week in Stockholm the organisers want to take an overall “systems view” of how we develop and manage energy and water for the good of society and ecosystems – at local, national, regional and global levels – and avoid unintended consequences of narrow sectoral approaches. The “water, energy and food security nexus”, underpinning the green growth approach, will be central to the agenda. The registration link will open in April 2014. The 2013 World Water Week report ”Cooperation for a Water Wise World – Partnerships for Sustainable Development” is now available. The report provides input into the discussions at the 2013 World Water Week in Stockholm. The report also explore emerging issues such as the role of information and communications technology in advancing water cooperation, the importance of climate mitigation and adaptation coherence and the interplay between actors in the water, food and energy nexus. 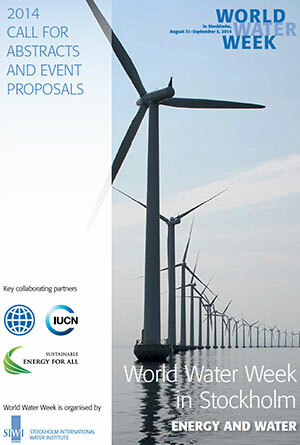 Full information about the 2013 World Water Week. On 13 November 2013, the United Nations Educational, Scientific and Cultural Organization, UNESCO, decided to establish a research centre in Sweden with a focus on international water issues. The centre will be run by SIWI in collaboration with Uppsala University and the University of Gothenburg. With its focus on transboundary water cooperation, the centre will be one of a kind. The majority of the world’s countries share water resources in some form, such as rivers and lakes. Consequently cooperation between States over this vital resource is essential. The Swedish UNESCO Centre will focus on equitable water cooperation and aims to develop research and knowledge on transboundary water resource management. The centre, which will be located at SIWI, will also concentrate on how to establish and develop effective water partnerships despite contexts of political conflict. 81 UNESCO Centre’s exist in different parts of the world, with 18 of them focusing on water related issues. This is the first time that a UNESCO Centre has been established in Sweden and the first time a Centre will focus on transboundary cooperation. This new UNESCO Centre will help Sweden deepen its involvement in water issues and disseminate Swedish research in this area. The focus will draw from the strong tradition of research on water conflict and cooperation that exists in Sweden today. More information. Professor Jan Lundqvist is a Senior Scientific Advisor to SIWI. Previously, he was working for many years as Head of the Department of Water and Environmental Studies, Tema Institute, Linköping University. Between 2003 and 2011 he chaired SIWI’s Scientific Programme Committee, and was involved in planning the symposia taking place every year in August in connection with the Stockholm Water Week. Prof. Lundqvist is now retired, but is still actively involved in SIWI work. On World Environment Day 2013, SIWI launched WASTE – a short film on the environmental cost of food waste. The film is a cooperation between SIWI, WWF Germany, UNEP and FAO, and builds on Taste the Waste of Water, a campaign SIWI launched at the 2012 World Water Week. See the film on the web. 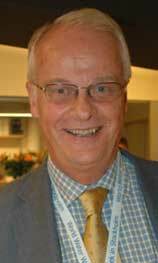 Jan Lundqvist was much involved in the planning process behind the formation of SASNET in 2000-2001. He participated in the Global workshop arranged in Lund in August 2001 (more information). Dr. Jenny Grönwall is Programme Manager for Water, Energy and Food at SIWI. She defended her doctoral dissertation entitled ”Access to water Rights, obligations and the Bangalore situation” at the Department of Water and Environmental Studies, Tema Institute, Linköping University in 2008. More information about her thesis. In June 2008, Dr. Jenny Grönwall moved to the Dept. of Systems Ecology at Stockholm University where she pursued a post-doc study focusing on urban development in Bangalore city, India, for two years, and from March 2011, Jenny worked as Technical Officer at the WaterWise division, Abu Dhabi Regulation and Supervision Bureau in the United Arab Emirates. This is a government agency aiming at enhancing water efficiency in the Emirate of Abu Dhabi.